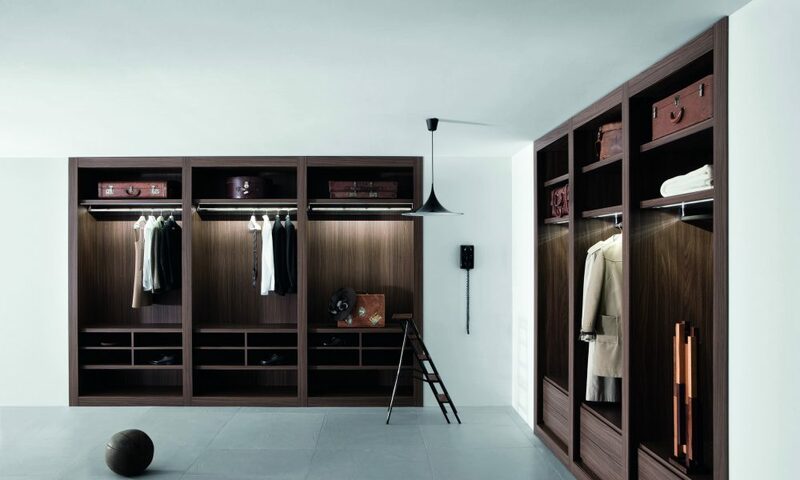 The Sipario Walk-In Wardrobe has unique and versatile combinations of different sized modular carcasses. 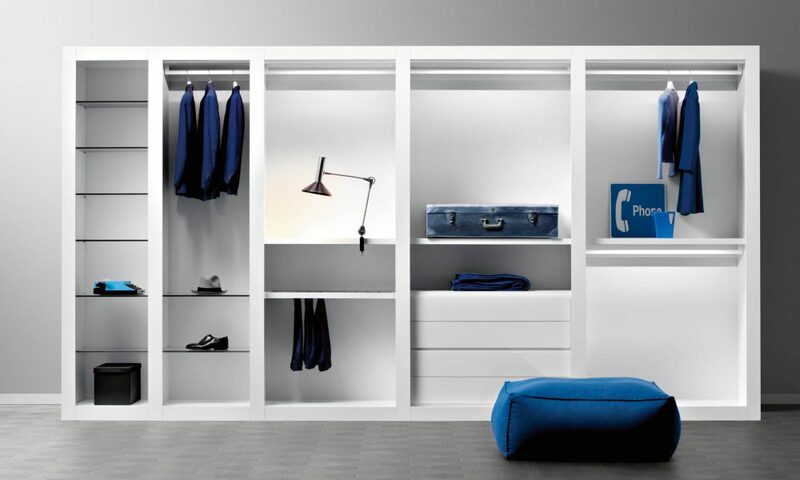 Available in range of heights and also widths to suit your space and be composed together to create an open space walk in wardrobe. The various types of finishes available are prestigious and elegant. The aesthetic look of the Sipario is also based on the use of standard sides or sides with additional framing. 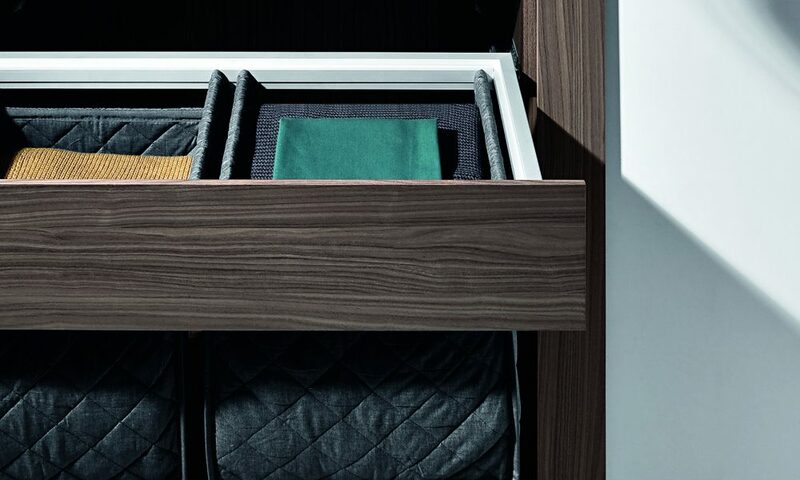 Whichever choice is made, the Sipario can be composed to fit in to the customers designated space, creating a completely fitted look. In addition each module can be equipped with a wide range of accessories. 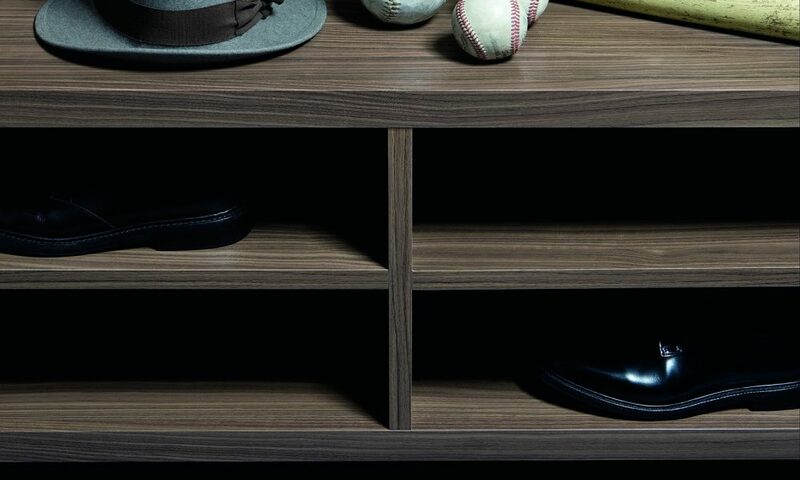 Drawers, shelves, hanging rods, trouser and shoe racks and much more are available for internal storage. 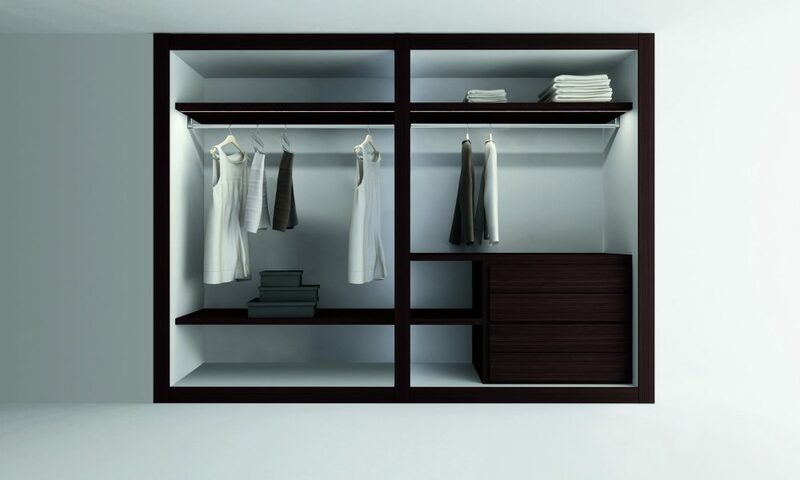 Available added extras include integrated LED shelf lighting and glass shelving also. 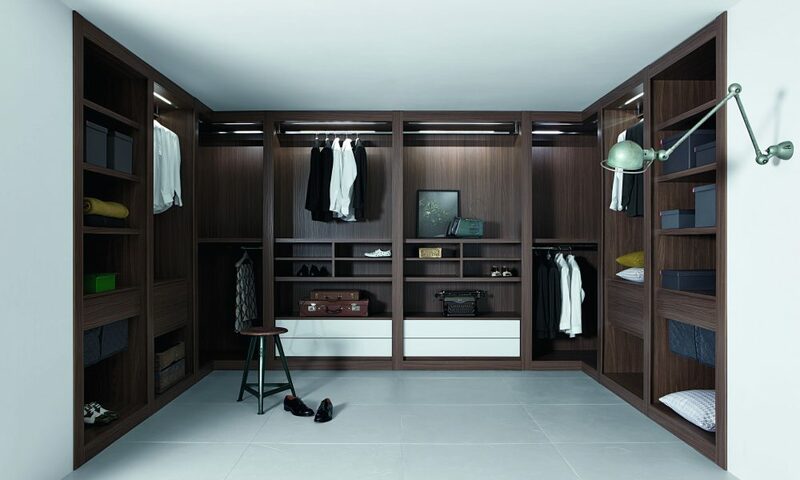 This system is ideal for creating a sequential based wardrobe sequence, creating a more modular walk in space. 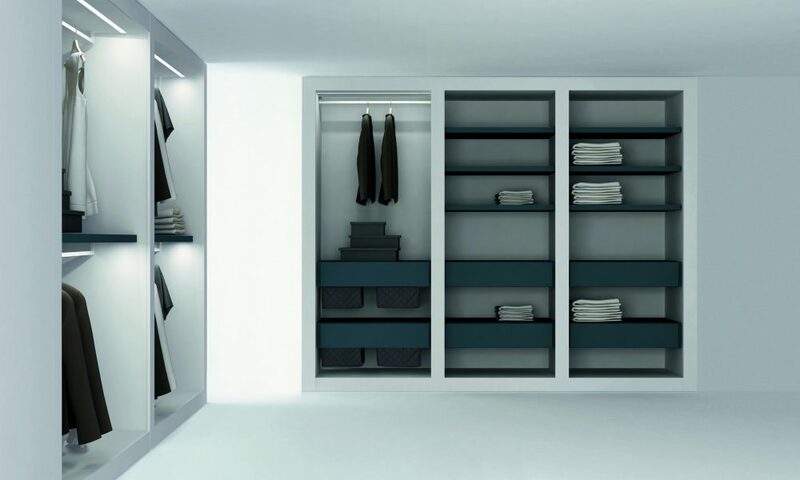 The design is modern and simplistic, allowing optimal functionality to shine through. Fancy something different? Why not view the panel based Anteprima system. 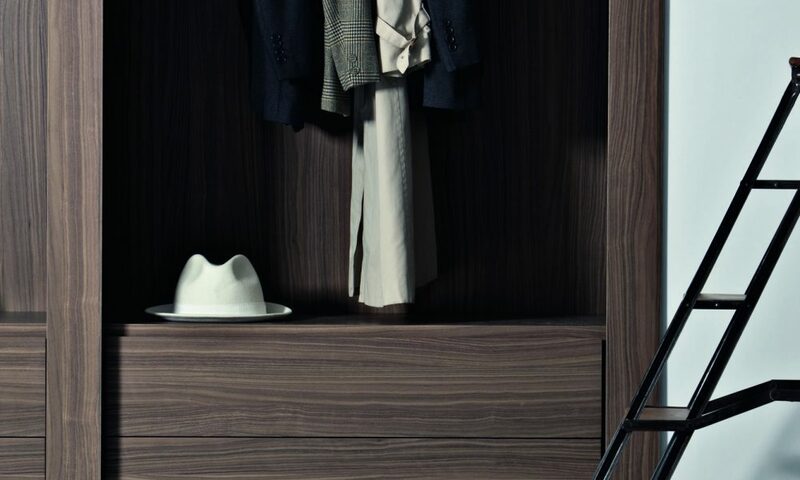 Take a look at some of the Internal Accessories available for this product. Or view the Island to see what extra storage capabilities are available.